Based in Ohio, the Dirt Devil company has been manufacturing vacuum cleaners and floor care products for decades. Their innovative line features uprights, stick vacuums, canister vacuums, carpet shampooers and hand vacuums, including the most popular hand-held corded vacuum sold in the United States. A turbo tool to easily get rid of pet hair available for every Dirt Devil vacuum, a perma-filter system to help filtration, and the lightweight, the MicroFresh filtration system helped add to Dirt Devil’s popularity. 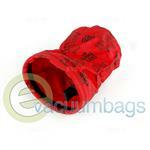 To get the most out of any vacuum cleaner, quality vacuum bags are a must. 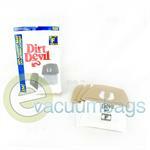 Dirt Devil offers disposable paper bags for their whole line of vacuums. Lined with electrostatically-charged fibers and a filter pad, these bags capture more than 99% of dust and allergens. For those with allergies, many of Dirt Devil’s bags are also available in their “MicroFresh” line of filtering vacuum bags. The MicroFresh bags capture even more microscopic dust, pollen, and allergens down to 0.3 microns. These work so well they nearly bring your machine to HEPA standards, but with a much lighter strain on your wallet. 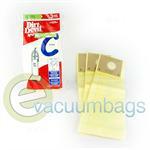 Genuine Paper Vacuum Bags for Dirt Devil Central Vacuum Systems CV-950/LE and Maxum RV2000. 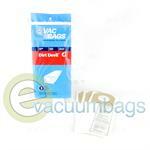 Outer Cloth Vacuum Bag for Dirt Devil Plus Hand Vac 503 / 103 Model Vacuum Cleaners. 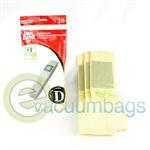 Genuine Allergen Filtration Paper Vacuum Bags for Dirt Devil Upright Model Vacuums using Style D Bags. 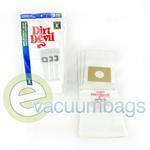 Generic DVC Paper Vacuum Bags for Dirt Devil Model Vacuums using Style D Bags. 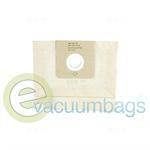 Genuine Style E paper vacuum bags for all Dirt Devil Corded Broom Vac Models. 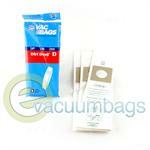 Generic Paper Vacuum Bags for Dirt Devil Broom Vac 701 Standard Vacuum Cleaners using Style E Bags. 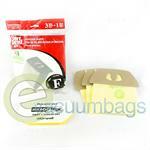 Genuine Style F Replacement Paper Vacuum Bags for Dirt Devil Canister Vacuum Cleaners. 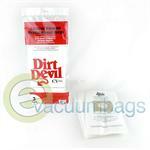 Allergen Filtration Style F Dirt Devil Genuine Paper Vacuum bags. 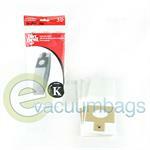 Genuine Paper Vacuum Bags for Dirt Devil Stick Vacs Requiring Style K Bags. 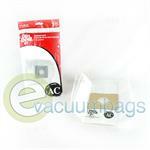 Generic DVC Paper Vacuum Bags for Dirt Devil Stick Vac Model Vacuum Cleaners using Style K Bags. 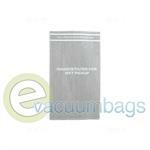 Type 55 Filter Vacuum Bag for Dirt Devil Pressure Washer 2 in 1 Wet / Dry ND401000BPC and ND40105 Model Vacuums. 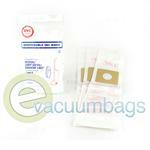 Type AB Paper Vacuum Bags for Dirt Devil Express SD30035 Canister Model Vacuums. 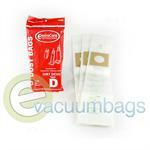 Genuine Paper Vacuum Bags for Dirt Devil Canister Model Vacuums using Type AC Bags. 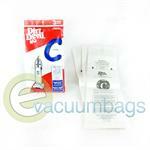 Microfresh Paper Vacuum Bags for Dirt Devil Model Vacuum Cleaners using Type C Bags. 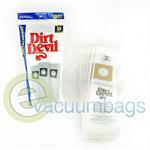 Genuine Paper Vacuum Bags for Dirt Devil Upright Deluxe MVP Model Vacuums (Not Ultra MVP Models) using Type C Bags. Genuine Replacement Paper Vacuum Bags for Dirt Devil Upright Deluxe MVP Models (Not Ultra MVP Models) or any Model using Style C Bags. 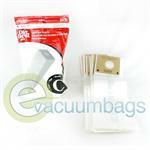 Genuine Replacement Paper Vacuum Bags for Dirt Devil Upright Vacuum Cleaners using Type D Bags. 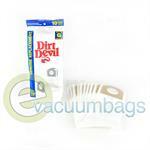 Genuine Paper Vacuum Bags for Dirt Devil Upright Vacuum Cleaners accepting Type D Bags. 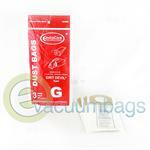 Generic EnviroCare Paper Vacuum Bags for Dirt Devil Upright Models Featherlite, Lite, Lite Plus, Sensation, VAX 6200 and VAX 5200. 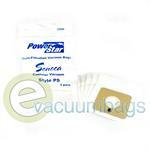 Generic EnviroCare Type F Paper Vacuum Bags for All Dirt Devil Can Vac and Power Pak Vacuum Cleaners. 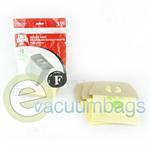 Genuine Type F Paper Vacuum Bags with a Cardboard Collar for Dirt Devil Canisters and Royal Can Vac Vacuum Cleaners. 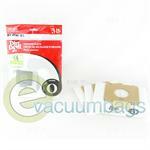 Generic DVC Paper Vacuum Bags for Dirt Devil Canister Vacuum Cleaners using Type F Bags. 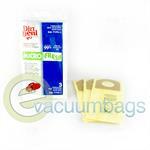 Generic DVC Type G Paper Vacuum Bags for Dirt Devil Hand Vac Vacuum Cleaners. 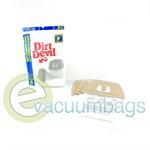 Genuine Paper Vacuum Bags for Dirt Devil Hand Vac Model Vacuums using Type G Bags. 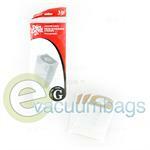 Genuine MicroFresh Filter Material Vacuum Bags for Dirt Devil Model Vacuums using Type G bags. 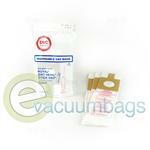 Generic EnviroCare Paper Vacuum Bags for Dirt Devil Model Vacuums using Type G Bags. 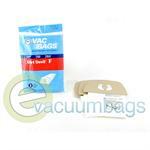 Replacement Type G Paper Vacuum Bag for Dirt Devil M08230X Ultra Hand Vac Vacuum Cleaners. 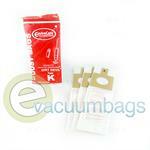 Generic EnviroCare Type K Filter Media Replacement Paper Vacuum Bags for Dirt Devil Stick Vac Model Vacuums. Also, fits All Royal Stick Vac Models. 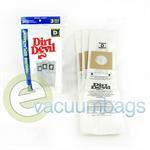 Genuine Allergen Filtration Paper Vacuum Bags for Dirt Devil Vacuum Cleaners using Type O Bags.